Illuminate your rack with this dual LED gooseneck. 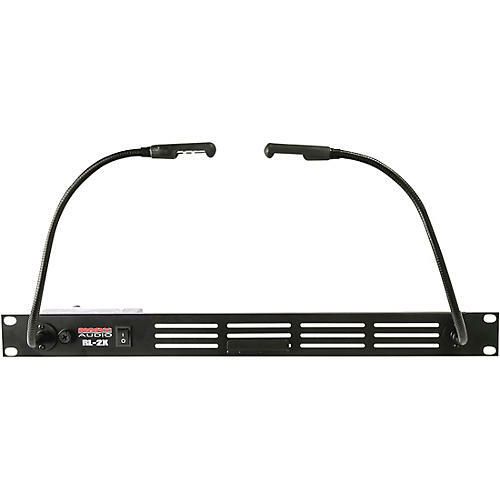 The Nady Dual Gooseneck LED Rack Light comes mounted on a 19" rackmount strip and can be attached on the front or the back of the rack. The flexible gooseneck lets you position the lights in any direction and makes it ideal for focusing on just what you want to see. The rackmount strip has a built-in on / off switch that makes operations easy. A fused power supply eliminates loose wires and keeps the work area clutter-free. Order now and see what you've been missing.